Chic Alert: Francesco Biasia Handbag Giveaway! Quality is certainly the heart of Italian tradition and when it comes to Francesco Biasia handbags, you certainly get quality. 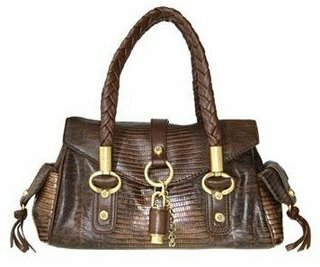 Made of reptile embossed Italian leather, this Francesco Biasia bag is the perfect mix of business meets pleasure. I just love the styling, the braided handles and the brass details! Wouldn't you just love to win this gorgeous Francesco Biasia, a classic style bag that is certainly to drool for. Well simply click HERE for your chance to win this luxurious and perfect Christmas present in the Handbag.com Christmas gift competition!